the video is up on the Grace website. I didn't think this day would ever come. The day where I could say "I made it". "Today I started a new job. It is only part time, I think it will be okay. But, I HATED driving to Newton knowing that I was going back to work. I cried the whole way. I felt like my heart was being crushed into a million pieces all over again. Why can't I be a stay-at-home mom? Why can't I raise Cora? Why did God take Cora from me? Now, I am driving to an office to be a receptionist--to force me to get out of bed and get dressed, to make the time pass. Just for a little while. I thought my purpose was to be a mom. What is my purpose now? Well, it did go okay. I put my brave face on and made it through the morning without crying. The people there were so kind and helpful--many of them I know already. There is so much to learn and I feel so overwhelmed. Just overwhelmed with life in general. My mind still feels "foggy". It is hard to concentrate. Lord, please give me the strength to make it through each day. Please, allow the time to pass quickly. Please, allow us to have more kids soon!" When I started that job we were not expecting. I didn't know how long I would need to work before the Lord would bless us with another child and I could go back to the job I love SO much--being a mom. I was struggling with so many things. I think I literally felt like I was drowning in my grief. A friend shared this translation of Philippians 4:13 with me last week. I am strong for all things in the One who constantly infuses strength in me. I loved looking back at that journal entry today. I felt like finishing work today was a little step forward. A little glimpse of light in the darkness. And as I read my words from back in April I could see how the Lord has been, and continues to, constantly infuse strength in me. I am so thankful that I don't have to rely on my own strength. I couldn't make it through this on my own. So today I am thankful for this little step forward. I know there are still going to be many days of missing Cora. Many days when I still can't stop the tears. Many days when I feel like I am taking steps backwards again. He will help me get through those days too. Today I am going to just celebrate that "I made it". I can't tell you how much I am looking forward to the days of being a stay-at-home mom again. It is getting closer! We can’t tell you how loved and supported it makes us feel to see all of you here today. God continues to pour out His love to us through the body of Christ. Whether you donated your time and labor, gave to the project, or even prayed for our family, you all had a part in Cora’s Playground. Thank you. Today is definitely bittersweet for us. Our hearts are heavy, as we would trade this playground to have Cora back with us in a second. While we don’t understand, it wasn’t part of God’s plan for Cora to be here today. But the awesome part about today is being able to look back and see how God has worked so mightily in our lives and the lives around us through tragedy. We are so thankful to have this playground as a remembering stone for our family. 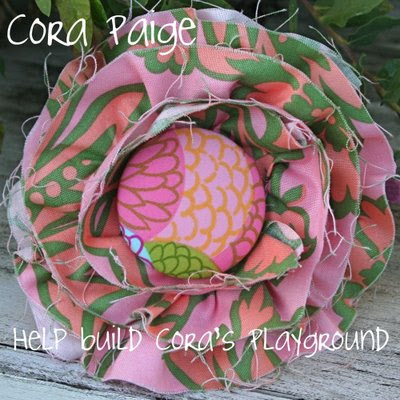 Cora’s Playground will always serve as a reminder to us of our sweet Cora’s life and how purposeful her 341 days with us were. It will be a place that we can always bring our family and tell them of God’s love and faithfulness to us. Most of all we just want to take time this afternoon to thank God for all He has done. Thank you for being here to join us in praising Him today. 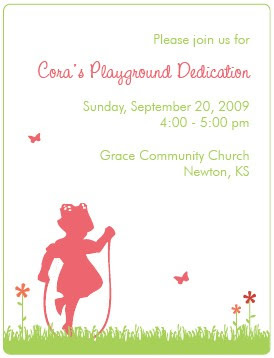 On Sunday we gathered in the church parking lot to dedicate Cora's Playground. I can't tell you how loved we felt to be surrounded by so many friends and family. Even seven months later there are so many who are still walking this hard road right beside us. who were a part of this project. Our pastors shared a few thoughts. Thanking and praising God for what He has done. We watched with tears as those 341 balloons floated away. A reminder of our sweet Cora's life. Even a few Etsy ladies were here...in Kansas. Heather, Megan, Julie, and Sarah were all at the dedication. Megan was wonderful and hosted the three girls all weekend. I LOVED meeting these ladies who have invested so much time and love into our lives. I am so glad they are not strangers anymore. And now this dream of having a playground is complete. Thanks to so many people. We would have never imagined that this beautiful playground would be the end result. Thank you Megan for capturing this day in pictures for us. On Sunday we watched as 341 balloons floated up to heaven. That is how many days Cora was here with us. What a blessing those days were. 341 days that were so full of purpose. and wonderful all at the same time. I couldn't stop the tears as I desperately wanted Cora to be there with us. But I was amazed once again by God's love and faithfulness. We were surrounded by so many people. And some amazing new friends. I am still trying to process it all. "Sorrow is one of the things lent, not given. Joy is given; sorrow is lent. that we may use it for eternal purposes. will wipe away all tears..."
A sweet reminder from a sweet friend. It was several weeks after Cora went to heaven that Joel told me about this song. I had heard it many times, but didn't realize how much meaning it would come to have for our family. It was the song that was playing as we drove to the hospital with our sweet Cora. We didn't talk the whole way there. We were in shock and just cried as we wondered if our perfect baby could really have cancer. I don't even remember hearing the radio as my mind was desperately trying to make sense of what was happening to our family. But Joel remembers. God You Reign. It was the song that played late that same night as Joel drove home from the hospital by himself. He was going to pack a bag for us as we found out we would be staying for awhile. We were anticipating Cora having surgery the next day. We were so scared. God You Reign. And it has been the song that we have heard over and over as we try to continue forward as a family without Cora. It might be an overplayed song on the radio. But to us it is a constant reminder that no matter what we are feeling emotionally, the truth is still the same. God You Reign. We both love that little voice at the very end of the song. Even though our little Cora was barely saying a few words when she left us, it is like she is whispering down a reminder to her mama and daddy. A reminder that we are going to be okay. God You Reign. I love how Lincoln Brewster explains the meaning behind this song. I wrote this post at the beginning of last week. I was planning on finishing it and posting the next day. But then my week just seemed to fall apart. It was a hard week for both of us. I'm not sure what exactly it was. Maybe it is the seasons changing. Another reminder of "firsts" that we are missing out on with Cora. Maybe it is the playground dedication that is coming up, bringing with it so many emotions. Or maybe it is simply that we miss our baby girl and our hearts continue to hurt. It was just one of those weeks. So today as I look ahead at a new week. I think I need to be reminded again. 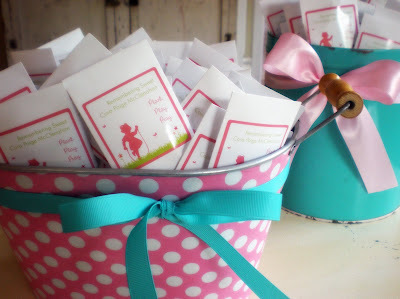 Thank you Sara for making this sweet invitation for us! there are so many times I find myself wondering. Yesterday I thought about Cora so much as she would have been 18 months old. It is hard to even imagine her that old. It is hard to believe that much time has gone by. I wonder what she would be doing as an 18 month old. What new things would she be learning? What words would she be saying? What would be her favorite thing to eat? Would her personality be more like her mama or daddy? How long would her pretty brown hair be by now? What would we be doing together during our days at home? I wonder why Cora had to get sick. Why did God choose to take Cora home so quickly? Why didn't He heal Cora? Why did He choose to draw us and others closer to Himself through Cora's death instead of through her healing? I wonder what our lives would have looked like this fall if she was here and everything was still "normal". I wonder what it is going to be like to welcome this new little one into our lives. Will he/she look like Cora? Will we feel like first time parents again? Will it be hard to use Cora's baby things for this baby or will it be healing? What will it be like to have our arms filled again? Will it be easier to be around our friends kids again? Will we always be overprotective parents because of what happened to Cora? Today as we sang Jesus Loves Me in church. I wondered why I was having to wipe away my tears because my heart was aching so intensely, instead of singing this sweet song with Cora in my arms. I think many of these things I will always wonder. I will never fully comprehend God's ways. I don't have to wonder. I will never need to wonder about God's love for me. I will never need to wonder how my story will end. A friend told me awhile back that this part of my life is like a really bad chapter in a really good book. While I don't know what the rest of my story will hold, I can be confident about the ending. I know that the end of my story is so incredibly sweet that I can't even begin to imagine. That is the TRUTH that keeps me going. That is the TRUTH that I will never have to wonder about. While we were in Banff, Joel had to try this. The french fries, not the hotdog. We do have hotdogs in Kansas. but Joel said we had to try it. I liked the french fries and gravy. The cheese curds, not so much. Now Joel is convinced that I need to learn how to make poutine. I know I said we would stock Cora's at the end of August. I know today is September 1st. Where are the Cora dresses? The serger is out of the box. We are sewing LOTS of dresses. But, obviously they won't be posted until September. We have lots of burpies cut out too. We are trying out a few new ones. And because you have so patiently been waiting. I think we will have a giveaway soon.